Come see our selection of reconditioned appliances. 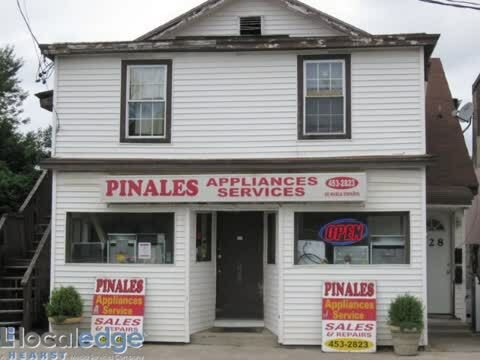 Welcome to Pinales Appliance Service, where we pride ourselves on expedient, courteous service to meet all of your appliance needs in the Erie, PA area. Not only does Pinales Appliance Service repair most household appliances, reconditioned appliance models and refurbished appliances, we also have a showroom full of gently used-like new refrigerators, stoves, ovens, ranges, washing machines, dryers, dehumidifiers, window unit air conditioners and much more! Pinales Appliance Service also carries gently used appliances from most major brands including Whirlpool, Maytag, Frigidaire, GE, Amana, Kenmore KitchenAid, Tappan, Samsung and most other major appliance brands at hard to beat prices. 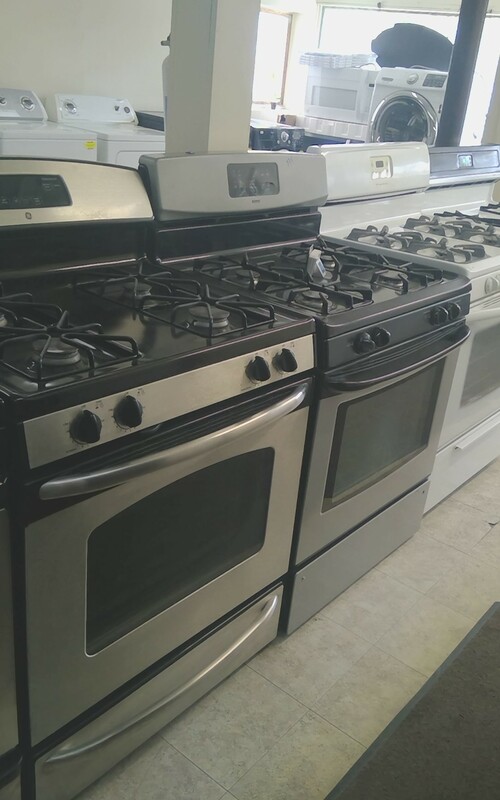 Act quickly and come see our showroom’s ever-changing inventory of refurbished appliances, including used stoves, used washers, used dryers and more. Pinales Appliance Service is your first choice in Erie, PA for quality rebuilt & used appliances. Offering quality reconditioned appliance models! Purchasing a reconditioned appliance can be an even better deal than customers think. Our refurbished appliances are in great shape and are guaranteed to perform like new. Save yourself a significant amount of money by purchasing a used appliance when your current appliance is broken or worn. Customers who have chosen Pinales Appliance & Service for a reconditioned appliance have been very satisfied with their decision. We receive recommendations and appreciative comments from our loyal customers all the time! We look forward to making you a satisfied customer as well. We have a great selection of used appliances and refurbished appliances for sale here at Pinales Appliance & Service. If your appliance is broken or it's time for a new unit all together, you will save time and money by going to Pinales Appliance & Service first. Contact us today for more information. Has your washer or dryer been giving you problems? Are you getting tired of your outdated machines? You don't have to pay a fortune to have modern, updated appliances in your home. Here at Pinales, we want our customers to walk away with an appliance that works for them. From used washers & dryers to other common household appliances, you won't believe the stock we carry. We offer guaranteed same day service for sales and repairs. No way to haul it? No problem with our in-city delivery option! Our skilled and courteous staff strives to give you the best experience possible and to work with your busy schedule. We also offer evening and weekend appointments when available. We also pride ourselves on payment versatility by accepting cash, and all major credit cards including American Express, Master Card, Visa, Discover, and personal checks and debit cards. At Pinales Appliance Service we stand behind every product that we sell. If you’re not happy with the service, then we’re not happy! Find quality appliances for prices that you can afford at Pinales Appliance Service! 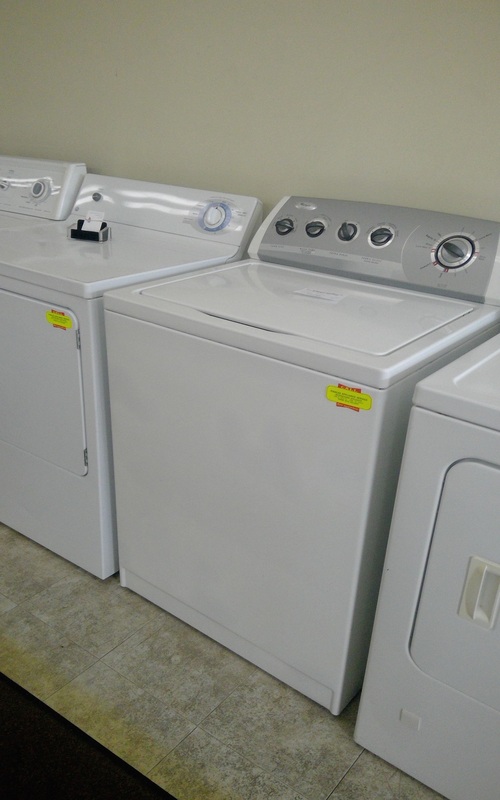 Our inventory of used appliances includes quality used dryers, used stoves and used washers dishwashers. We continually get new stock. So if you don’t find what you are looking for please let us know. We stand behind all our products. Many of our previous patrons have many good things to say about us. And Don’t Forget We offer guaranteed same day service for sales and repairs. If you are unable to haul, we are able with our in-city delivery option! We will charge a small fee based on mileage outside the city limit. Currently we have a 40 mile delivery radius. Our skilled and courteous staff strives to give you the best experience possible and to work with your busy schedule. We will take away your old appliances too. We also offer evening and weekend appointments when available. 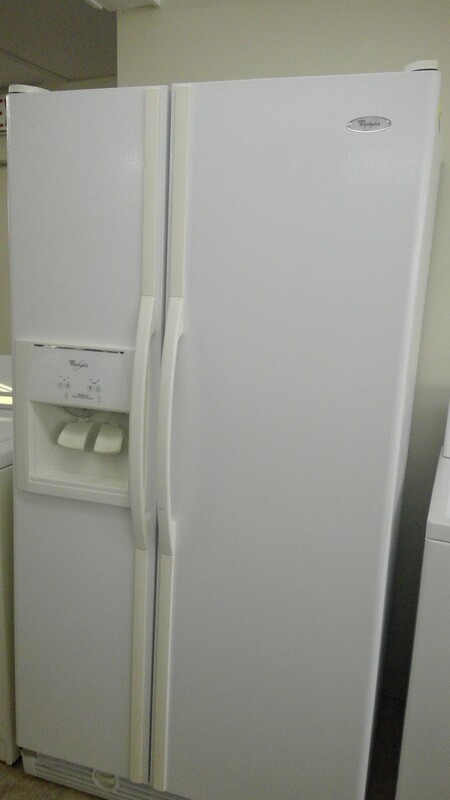 So if you have a refrigerator that is constantly running, sweating, hissing, or not cooling we can possible repair it, or replace it with a reconditioned refrigerator. If you have already utilized our service you know we are professional and would certainly appreciate a referral. We appreciate your business. We are proud to a part of our neighborhood. We look forward to serving you for any years to come!! Refrigerator Repair, Range Repair, Stove Repair, Oven Repair, Dishwasher Repair, Washing Machine Repair, Dryer Repair, Air Conditioning Repair, Dehumidifier Repair, Refrigerator Sales, Range Sales, Oven Sales, Dishwasher Sales, Washing Machine Sales, Dryer Sales, Air Conditioners for Sale.